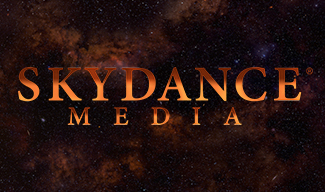 Santa Monica, CA – March 29, 2016 – Skydance, a diversified media company that creates elevated, event-level entertainment for global audiences, today announced that it will grow and expand its feature film, television and interactive businesses as a result of having completed a significant round of new financing in the amount of $700 million, including a $500 million line of credit and $200 million in equity from a consortium of existing shareholders. The new credit facility was arranged by the Company and J.P. Morgan Chase. Today, Skydance is a leading producer and financier of major Hollywood studio films and television shows. Since its inception in 2010, Skydance has produced ten feature films, which have cumulatively grossed approximately $4 billion in worldwide box office receipts. The Company’s current film slate includes Star Trek Beyond with Paramount on July 22, 2016, Jack Reacher: Never Go Back with Paramount on October 21, 2016, Geostorm with Warner Brothers on January 13, 2017 and Life with Sony on March 24, 2017. Skydance Television was launched in 2014 and is currently slated to produce four original series, including Emmy-nominated Grace and Frankie and Altered Carbon on Netflix, Red Mars on Spike TV and Jack Ryan on Amazon. With the $700 million recapitalization, Skydance plans to expand its ongoing business operations, including the production of both feature films and television series as well as to pursue potential new acquisitions and upcoming product out of Skydance International. Financing for the transaction was provided by a syndicate of banks and institutional investors led by J.P. Morgan Chase.